Cecily has extensive knowledge of her local market. She was born and raised in Morgan County and currently resides just north of Madison and spends her summer weekends at a family home on Lake Oconee, which allows her to continuously monitor the local market. She graduated with honors from UGA’s Terry College of Business with a Finance degree and minor in Fashion Merchandising, which allows her to not only help clients better understand the contractual and financial side of real estate transactions, but also allows her to assist clients on the creative side and see things from a different perspective. Right out of college she worked for her family’s Ford Dealership for 4+ years where she gained expertise in Sales, Finance, and Internet Marketing. She is married to Brooks Pennington IV and currently has a four-legged child name Regis, their Boykin Spaniel. Cecily is an active member of the Madison First United Methodist Church where she hosts a young adults bible study, serves on the intercessory prayer ministry team, and transportation committee. She is also a member of Kiwanis. Cecily’s business background and love for people are what make her the right agent for Your Team! Cecily believes that her advice given to her by her father “to not just make a client a one time sale but a life long friend & client” is what sets her a part from most agents in the industry. 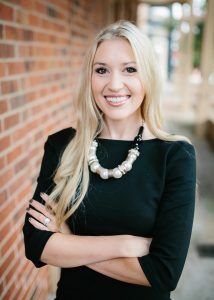 Cecily specializes in residential properties in Morgan County, Oconee County, Lake Oconee, and the Athens Area.